Drop Stop inventors, Marc and Jeffrey received their distracted driving storybooks and even signed their Helper's Licenses! "The animated distracted driving storybook was wonderful. Great messaging, clever rhyming and wonderful pictorials depicting what should and should not be taking place in the vehicle. We are hopeful this will resonate with people of all ages and will give them out to people we run into at our conventions and other venues we attend. We also put our names on the helper cards you sent us to pledge ourselves to keeping the driver safer and not distracted in our vehicles"
Thank you, Marc and Jeffrey for your continued support in the fight against distracted driving! Learn more about Drop Stops here. 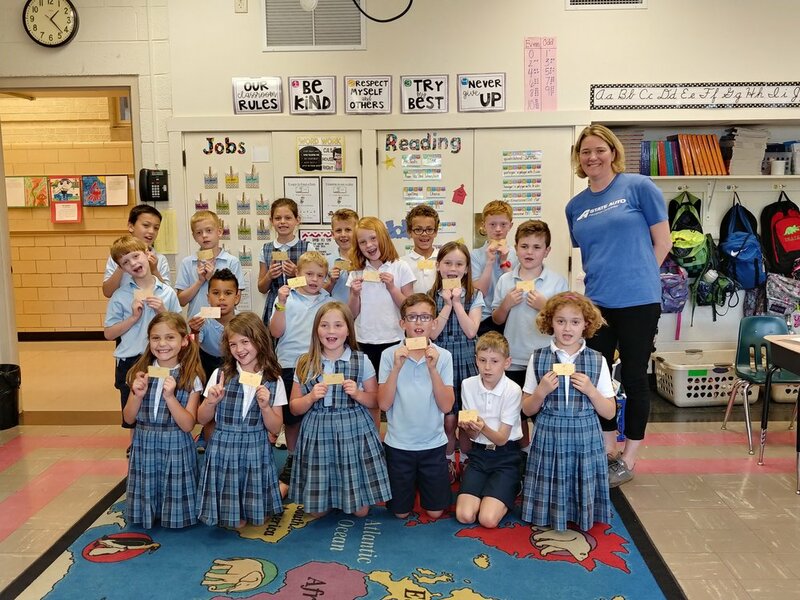 Three different grades at Saint John Paul II Elementary School in Hermitage, PA recently joined the next generation of undistracted drivers. 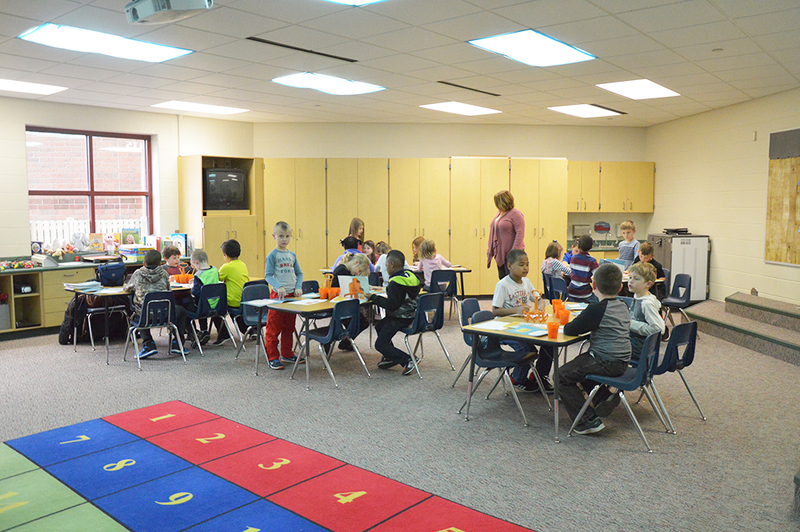 Students in Mrs. Tracy Laidlaw’s and Mrs. Michelle Wilson’s kindergarten classes, Mrs. Katie Tiefenthal’s first grade class and Mrs. Tammy Zehner’s second grade class all earned their Helper’s License after they read their own copies of Everything Can Wait. 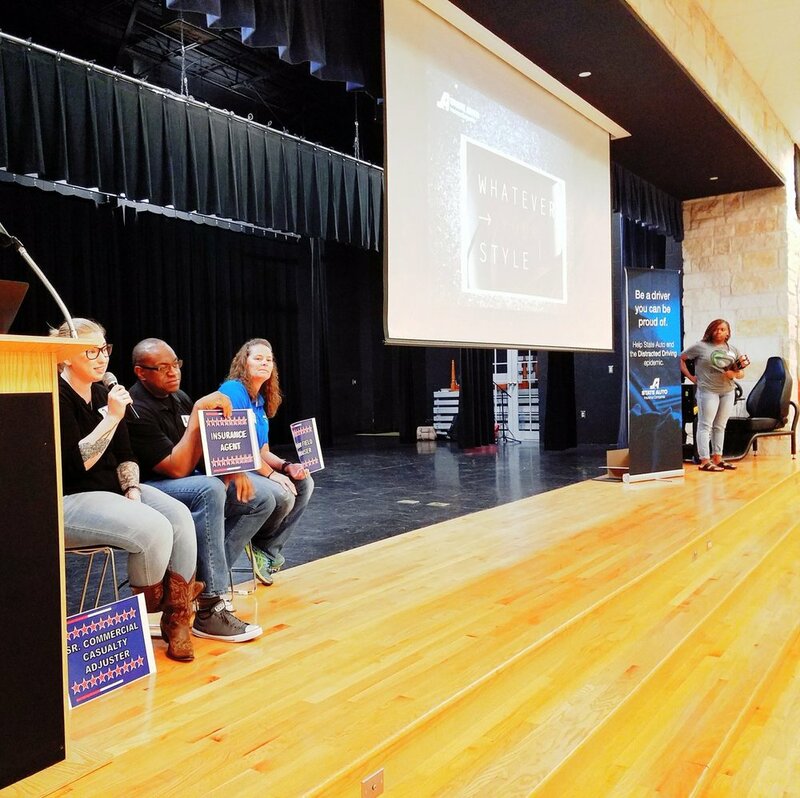 State Auto was proud to partner with Goosehead Insurance agent Christopher Washington to deliver the last distracted driving awareness assembly program of the 2017-18 school year at Jarrell High School in Jarrell, Texas. The days between Memorial Day and Labor Day are known as the deadliest days for young drivers. State Auto hopes to encourage these students to stay undistracted and safe this summer. 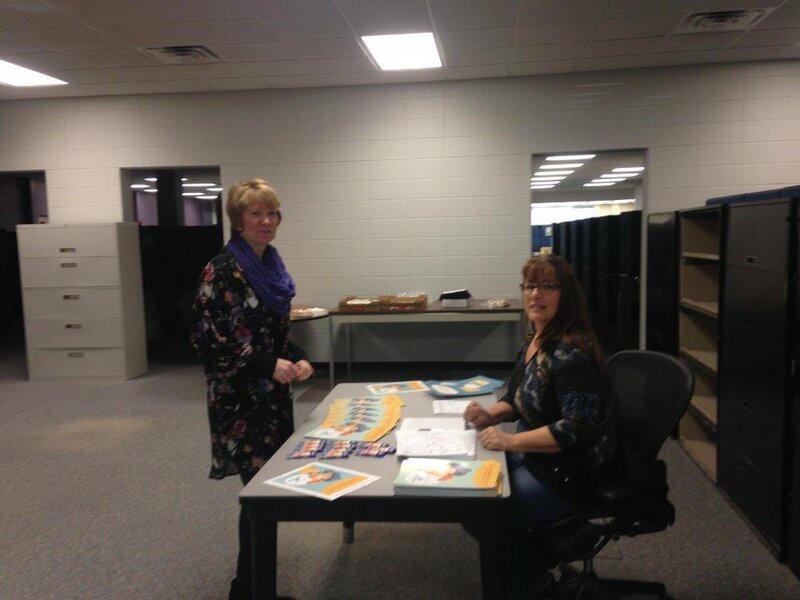 State Auto associate Beth B. shared the Everything Can Wait! 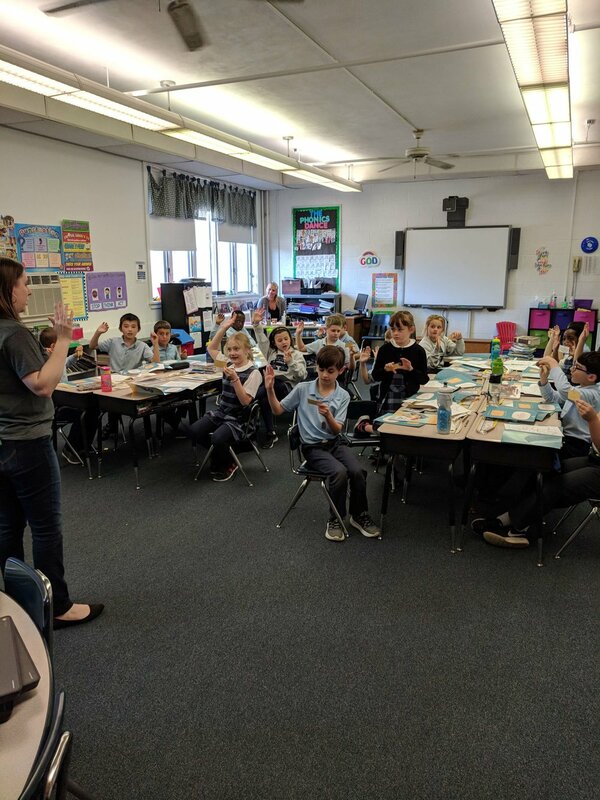 storybook with 36 2nd graders at Immaculate Conception School in Clintonville, Ohio. "The storybook was a big hit along with the badges. The impact was felt as early as last evening when a number of parents reached out to me about the book and the message at soccer practice last night." Our message continues to spread around the nation! 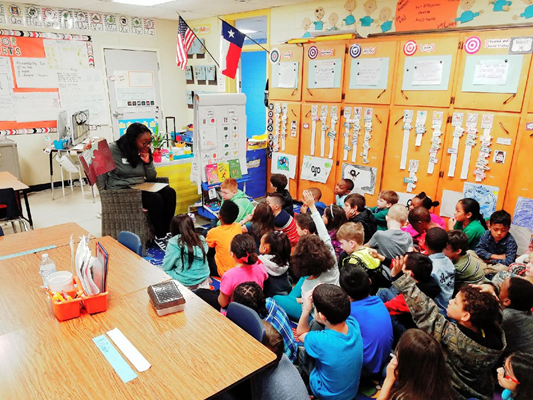 State Auto Associate Joe read to students at Cedar Valley and Thomas Arnold Elementary schools in Salado, TX and Associate Jessica read at 2 for U Childcare in Des Moines, Iowa. The kids will always remember that Friday, April 13 as the day they earned their Helper’s Licenses and became part of the distracted driving solution. What’s better than reading an awesome book that teaches you how to behave in a car? Meeting the person who wrote the book! 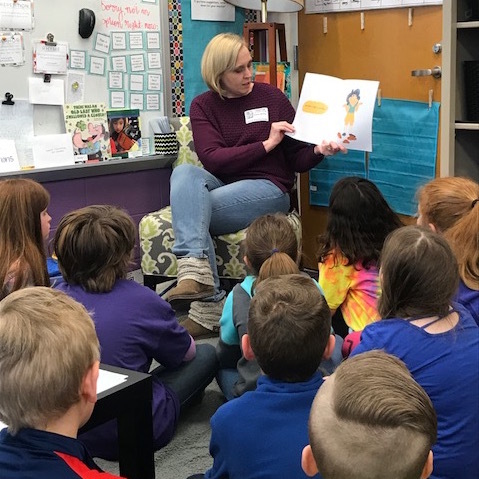 Students from Indian Trail Elementary in Kim Vojacek's Social Skills class got to meet State Auto Associate Dani, who authored the book, on Wednesday, April 11. The students enjoyed taking the pledge with the very person who helped create it! 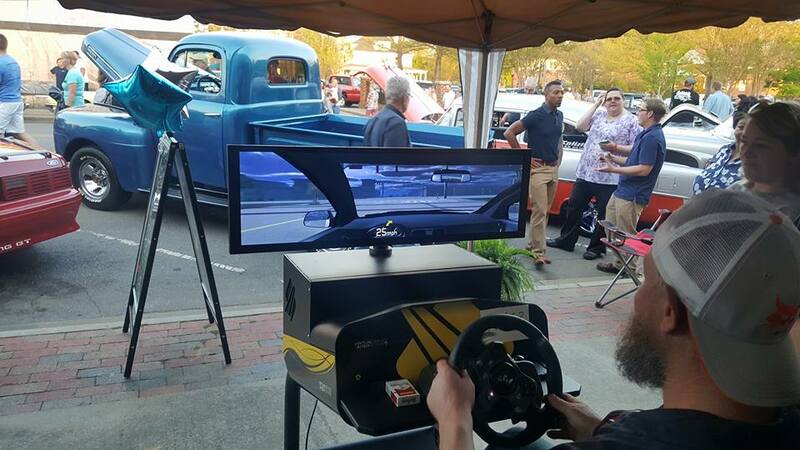 One of our distracted driving simulators made an appearance at the Classic Car Cruise community event in Monroe, NC. 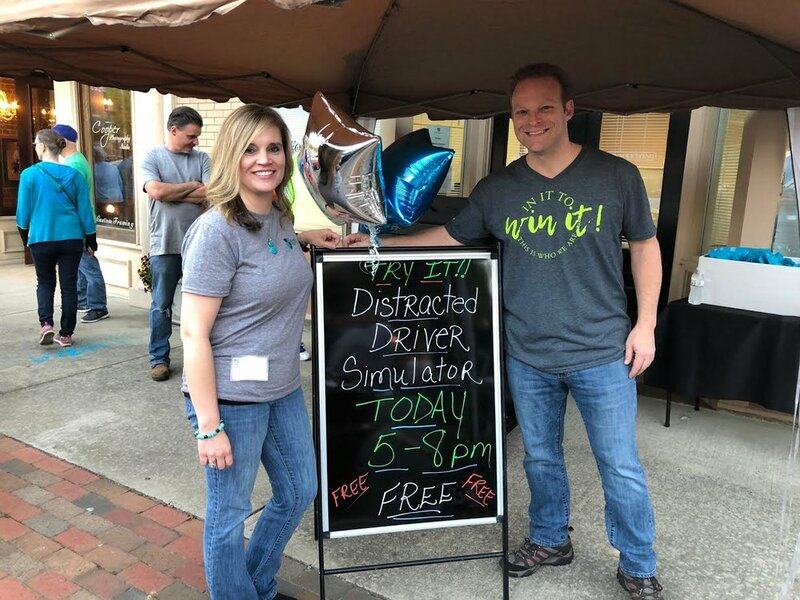 State Auto agency Foster Grace Insurance featured the simulator in their booth and set up a distracted driving pledge that many people signed, promising to stop the bad habit and #StayUndistracted. 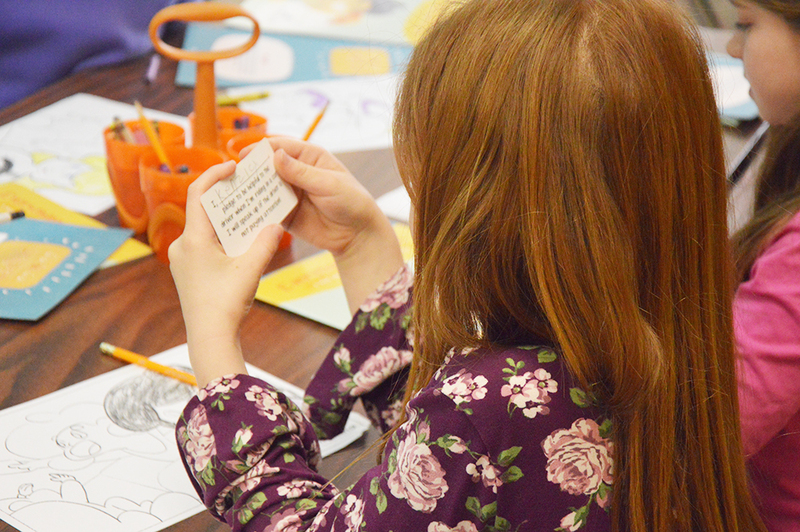 On top of a new Helper's License and coloring sheet, the students at St. Andrew School in Upper Arlington, OH took home valuable lessons on Thursday, April 12. 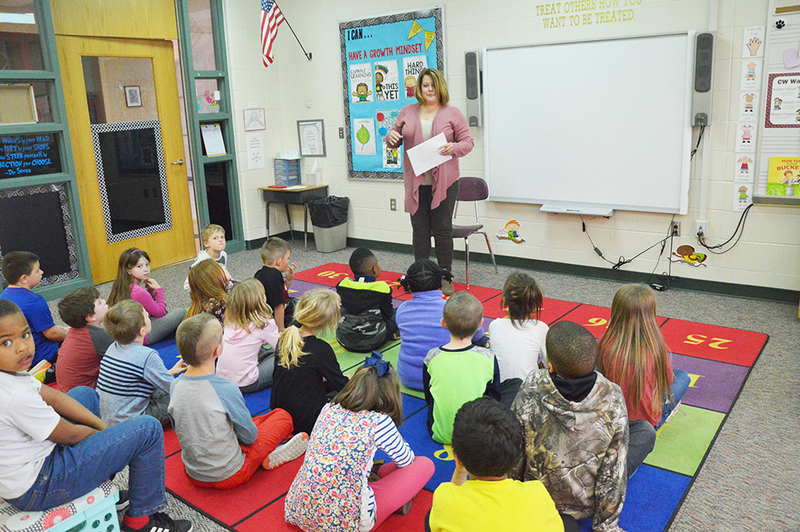 The kids were all ears as State Auto Associate Audrey showed them how they can help their parents #StayUndistracted. 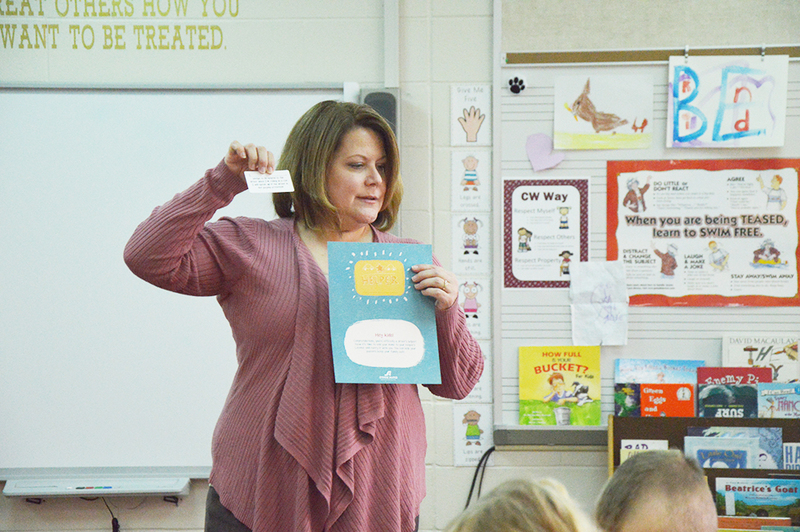 Students in Miss Land's 3rd grade class at Summit Road Elementary in Reynoldsburg, OH received their Helper's License on Tuesday, April 10. 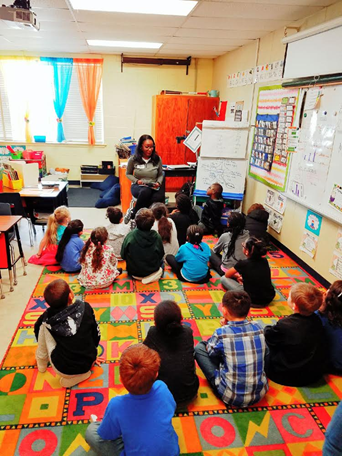 State Auto associate, Kendra, read to the class and encouraged them to speak up against distracted driving. 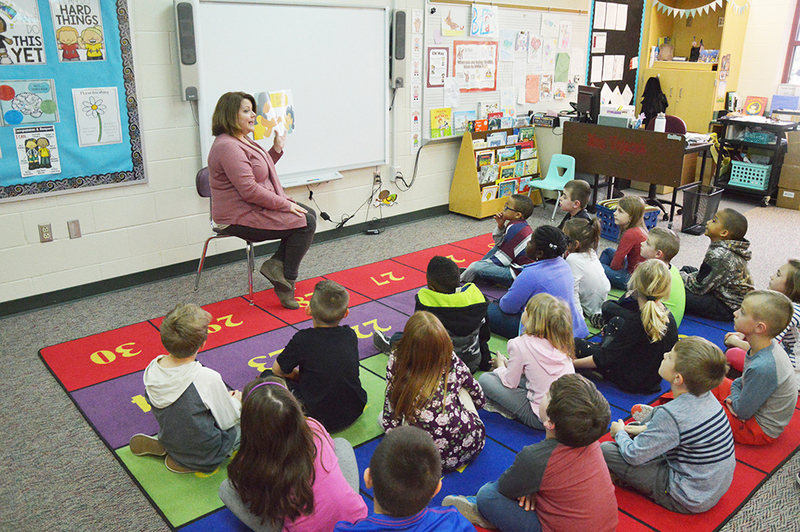 State Auto Associate, Teresa, read our Everything Can Wait storybook to her son’s 1st-grade class at Koch Elementary. 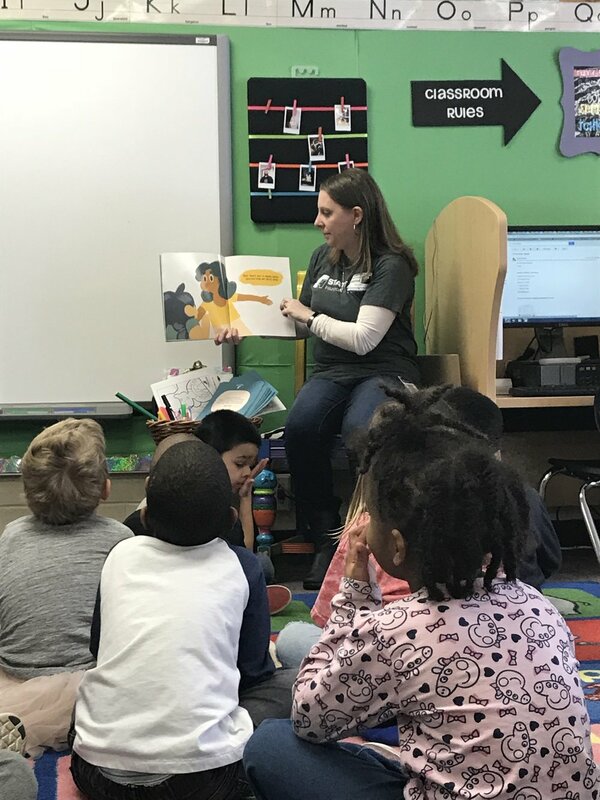 “The kids absolutely loved the book,” she said. “They thought the ID cards were ‘cool.’ By the time we were done, they’d finish my sentences with "Everything Can Wait!" Thanks, Teresa for spreading the word to the future drivers of America! 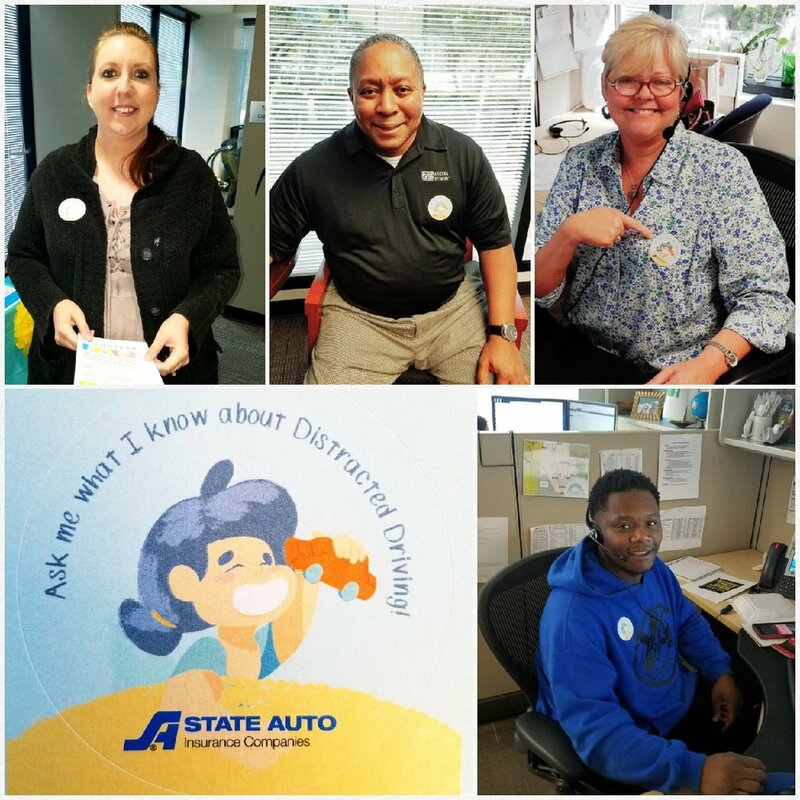 On April 2, 2018, State Auto Insurance associates from across the country kicked off Distracted Driving Awareness Month by sharing and distributing Everything Can Wait! 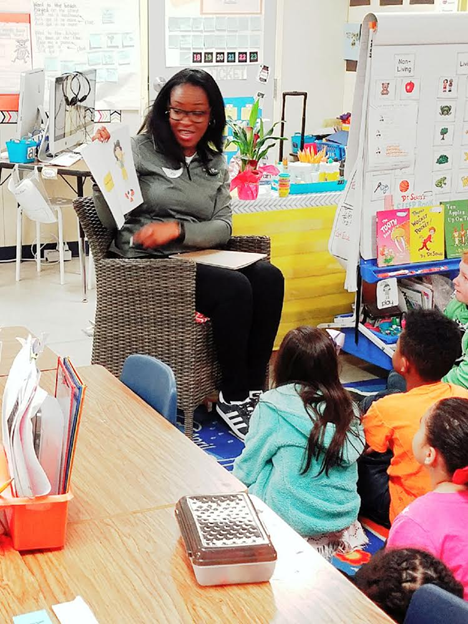 storybooks educating associates on how they can get involved to encourage others to #StayUndistracted. Want to get involved? Email us at distracteddriving@stateauto.com! 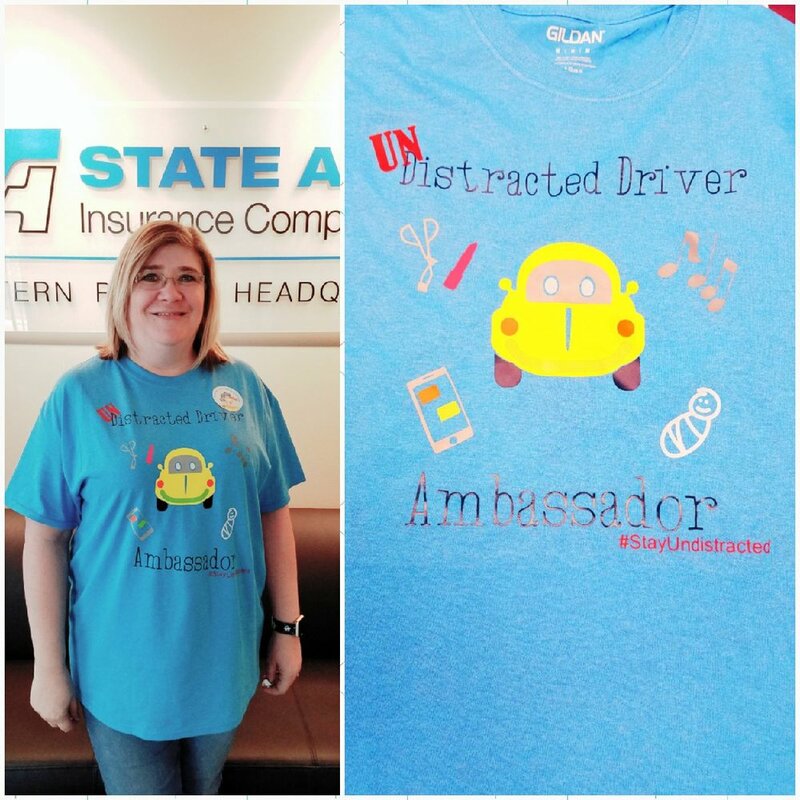 Associates made their own UnDistracted t-shirts! 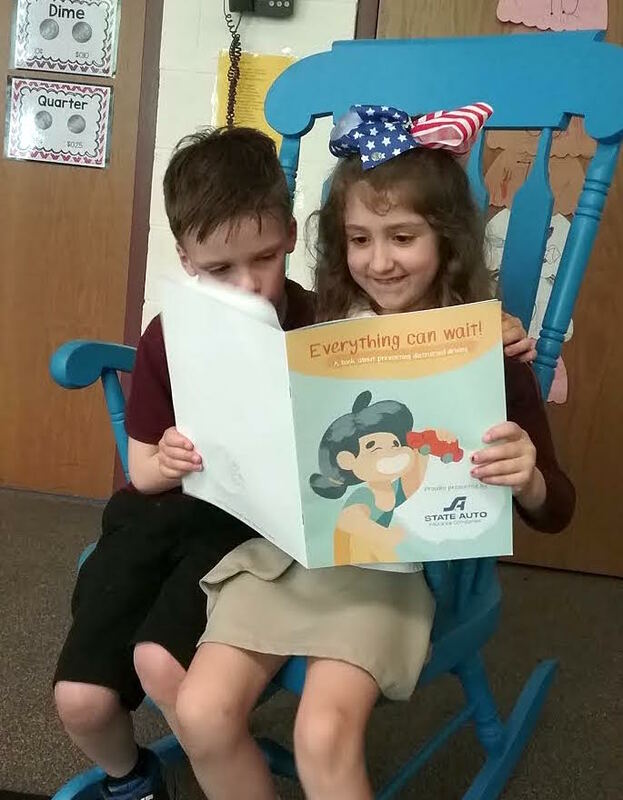 After touring the Killeen Independent School District in Texas with our distracted driving simulators and storybook, The Insurance Record wrote about our efforts and featured the storybook on the cover for their March 28,2018 issue! You can read the article here. "Distracted driving has become an epidemic across our country," acknowledged Mike laRocco, president and CEO, State Auto Insurance Cos. "As a society, it costs us billions of dollars a year, but the real cost is much greater: lost lives that could have been saved by simply focusing on driving. Nothing - not a phone call, a text, or any other distraction - is so important that you can't wait until you're safely parked or off the road." 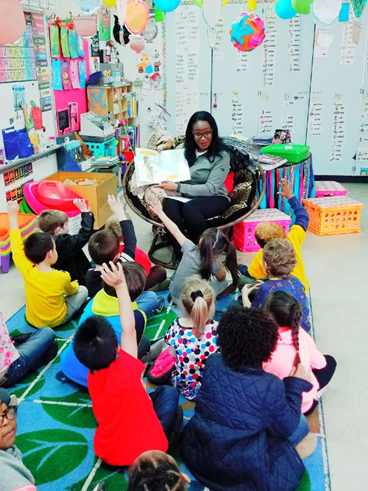 Who doesn't love storytime? 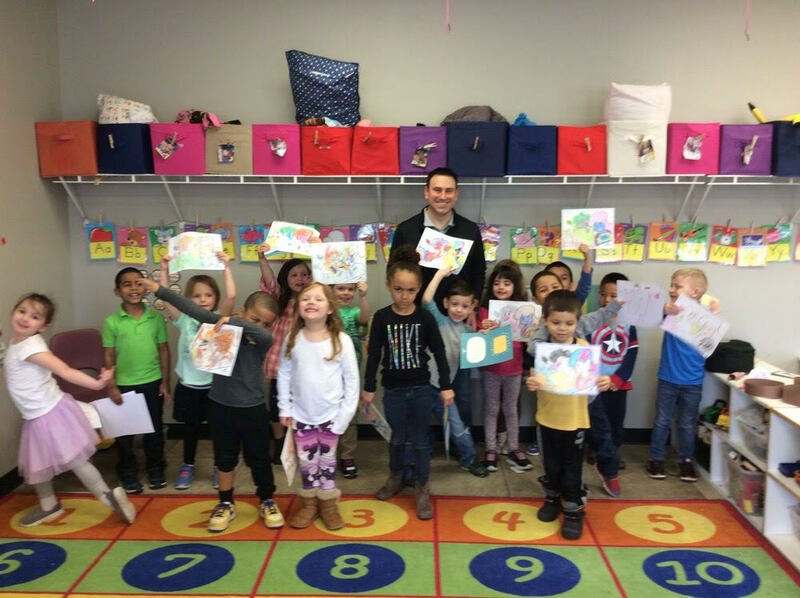 Kindergarten students at Chapelfield Elementary in Gahanna, Ohio received their Helper's Licenses on March 21, 2018. They were so excited to help their moms and dad become safe drivers! 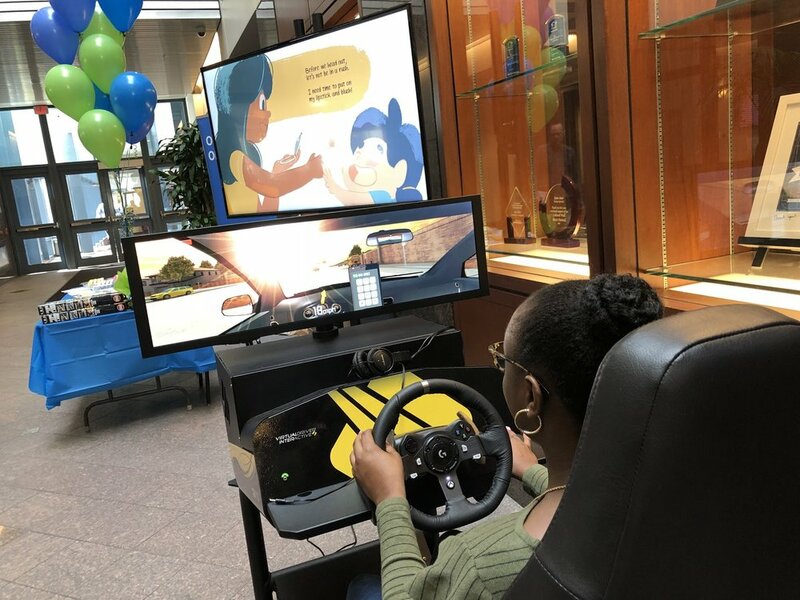 Our distracted driving simulator made a special appearance at Insurance Club of Pittsburgh's I-Day celebration on March 20, 2018. Pictured are State Auto associates in action. Our Everything Can Wait! 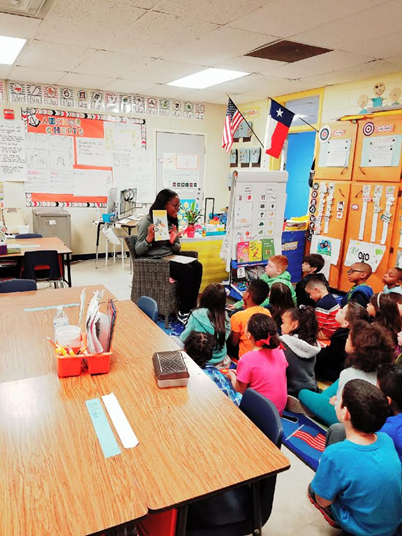 Storybook and Helper’s License were a huge hit with the students at Clifton Park Elementary in Killeen Independent School District. Everyone wanted a book and license, even the principal! Just another example of how learning can be educational AND fun. 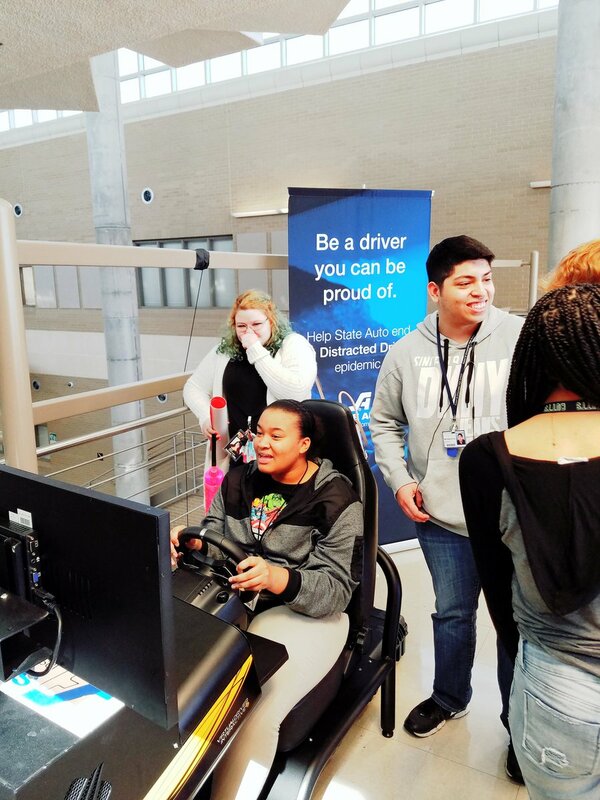 The State Auto team took our distracted driving simulators on a tour of the Killeen Independent School District in Killeen, Texas. Partnered with BKCW Insurance agency, we also hosted an insurance careers fashion show to highlight careers in the insurance industry. 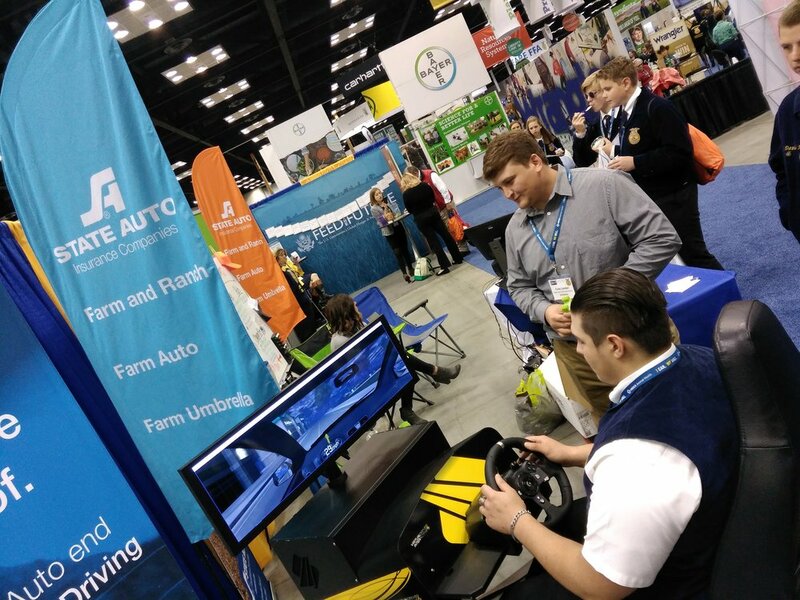 State Auto’s Farm and Ranch team brought our distracted driving simulators to the 2017 National Future Farmers of America (FFA) Convention and Expo. The event was hosted in Indianapolis, IN., Oct. 25-27, where over 67,000 people were in attendance. Many of the attendees were students who had the opportunity to test out our simulators and learn what could happen if they take their eyes off of the road. 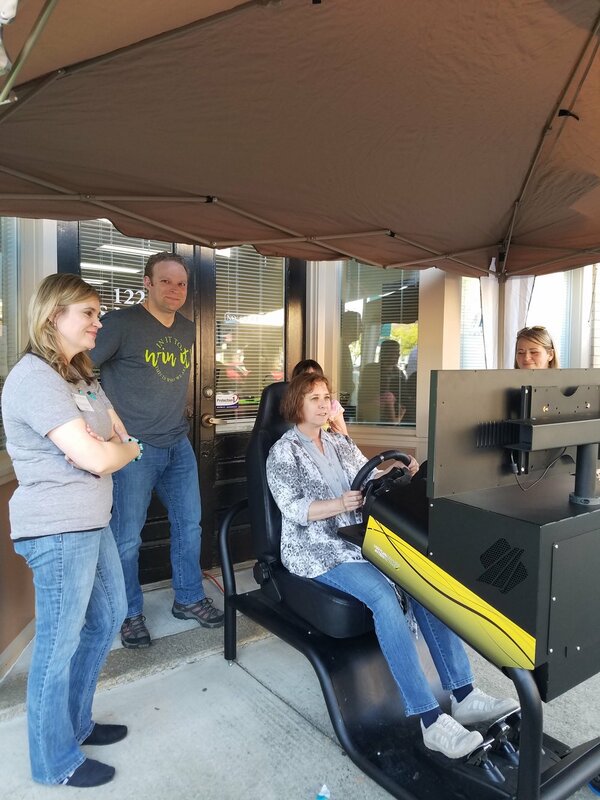 We took our driving simulators on the road with us — State Auto put heart walk participants to the test to see just how much distracted driving affects their driving ability. State Auto proudly teamed up with Maria's Message to help bring awareness to our nation's distracted driving epidemic. Volunteers passed out over 500 Drop Stops in support of our initiative to help keep drivers safe on the road. 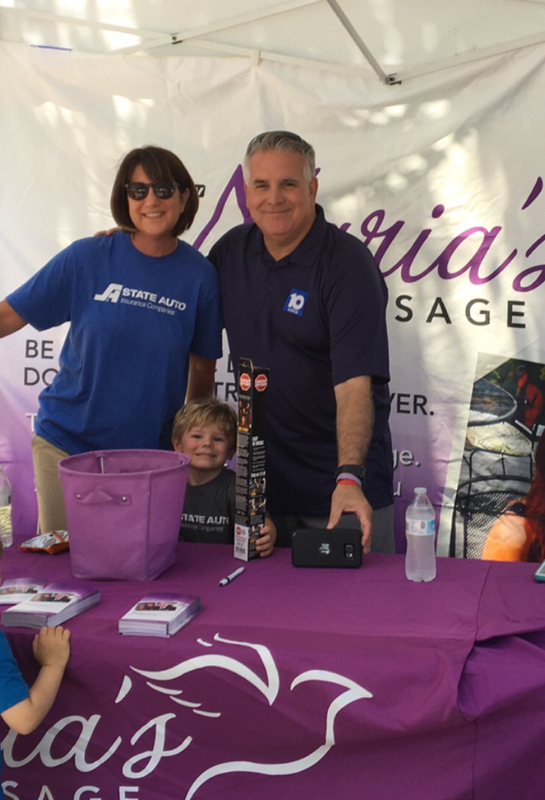 Hosted by 10TV and Metro parks Outdoor Adventure, the weekend event brought families together to celebrate summer and help kids connect with nature with various activities and featured speakers. State Auto® partnered with the Maria Tiberi Foundation (Maria’s Message) and hosted a distracted driving booth at 10TV Commit to be Fit Expo, in Columbus, OH on March 11 & 12. The State Auto booth included a large video wall and driving simulators and a giveaway of five State Auto-branded Drop Stops® every hour. Take Maria’s pledge to help end distracted driving.